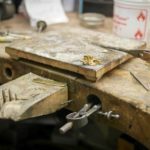 Melanie Casey is seeking a master goldsmith to join our team of bench jewelers! 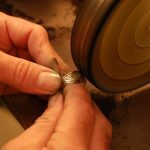 This full-time position will be responsible for cast cleaning, ring resizing, and stone setting. This position will be Monday to Friday, 40 hours per week with optional over time. •Ability to undercut seats in challenging small settings. 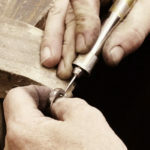 Our fine jewelry collection is entirely handmade here in our North Andover, MA-based studio. We work in 14k gold and occasionally work with platinum. 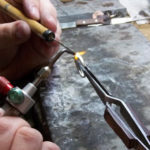 We are currently looking for a sixth jeweler to join our team. 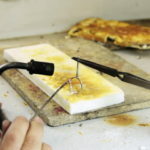 Training will be provided for our tricky and delicate product line. 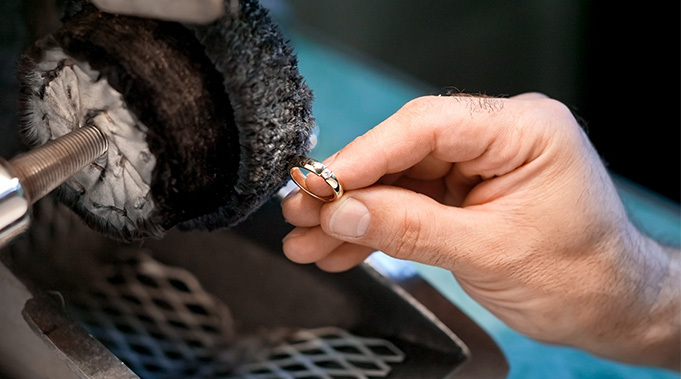 We believe in the benefits of technology and quality tools to produce the best possible quality of craftsmanship, so our jewelers have access to some of the best technology in the industry. We have recently converted to a paperless environment with each jeweler working from their own dedicated iPad, and we are always looking to become more streamlined and productive. The bench jewelry position will be full time, 40hours, Mon-Fri. Optional overtime is typically available. Pay rate will range based on experience. Retirement plan with matching is available for all employees. Tasks of the job include cleaning up castings, resizing and hand polishing using various mandrels in the flex shaft. We do not have a polishing buff, so nobody ever gets stuck at a polishing machine for the day! 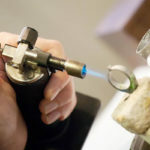 Since this is a production environment, cast cleaning and polishing will always be part of the job, but this position will also be expected to do stone setting. 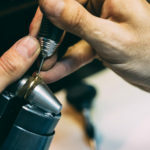 Every day is different so our ideal candidate will be willing to take any project in the shop, whether it be cast cleaning, stone setting, or wash out duties. 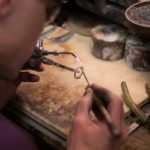 This position is ideal for someone who wants to be in production jewelry as a long-term career, and will be able to take advantage of the combined years of business and jewelry-making experience at Melanie Casey. We are looking for patience, enthusiasm, and the willingness to go the extra mile to learn a new skill. A cover letter and updated resume are required to be considered for this position. In your cover letter, please let us know why you are a great fit for this position!